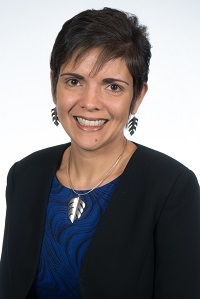 Mariana Souto-Manning is Associate Professor of Early Childhood Education and Director of the Doctoral Program in Curriculum and Teaching at Teachers College, Columbia University. From a critical perspective, she examines in/equities and in/justices in early childhood teaching and teacher education, focusing on issues pertaining to language and literacy practices in pluralistic settings. In her research she critically considers theoretical and methodological issues and dilemmas of doing research with communities of color. Souto-Manning has published six books, including the 2016 winner of the American Educational Studies Association Critics’ Choice Award, Reading, Writing, and Talk: Inclusive Teaching Strategies for Diverse Learners, K-2 (with Jessica Martell). Her work can also be found in journals such as Linguistics and Education, International Journal of Qualitative Studies in Education, Research in the Teaching of English, and Teachers College Record. She is the recipient of a number of research awards, including the 2011 American Educational Research Association Division K Innovations in Research on Diversity in Teacher Education Award and the 2017 Division K Mid-Career Award.